Michael's education started at Michigan State University where he received a bachelor of science through the science college of Lyman Briggs with major in biology. His medical education was also completed in the Midwest where he graduated from medical school in Iowa at Des Moines University Osteopathic Medical Center. Missing Florida he then returned locally to complete a pediatric residency through University of South Florida's Pediatric Residency program at All Children's Hospital in St. Petersburg, Florida and Tampa General Hospital in Tampa, Florida. He has dedicated a majority of his career thus far to working in medically underserved rural areas including Butte, Montana and Chiefland, Florida. Because of his commitment to medically underserved communities, he was awarded a 4 year National Health Service Corps scholarship. 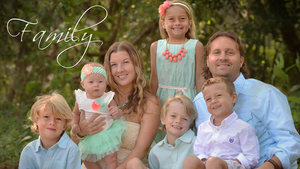 In the fall of 2010, He opened Sun Country Pediatrics in Spring Hill Florida. The practice has grown with the additions of Dr. Andrew Turner, and Nurse Practitioner Stacey Payne-Peters to meet the demand for additional early and late evening office hours and Saturday appointments. His medical passions include vaccination safety and infectious diseases. He is active in the pediatric professional communities as a fellow for the American Academy of Pediatricians/AAP. He participates at the national and state level of the AAP as well as he participates in Florida's AAP subsection for osteopathic pediatricians. He stays current with osteopathic issues facing Florida through Florida's Osteopathic Medical Association. He continues to participate in active education through yearly continuing medical education conferences and seminars to bring your families the most up to date pediatric care. He and his wife Leslie have four sons, Talan, Noah, Cooper, Luke and two daughters, Madeline and Charlotte. He enjoys spending time with his family boating and enjoying the Florida sunshine.